Emerald: Apagun Wole Olumide did not commit suicide, he was strangled. Apagun Wole Olumide did not commit suicide, he was strangled. 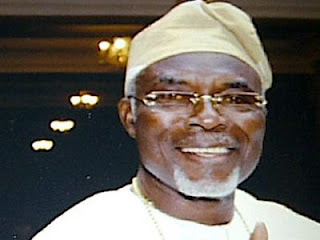 Late Egba chieftain, politician and architect, Apagun Wole Olumide did not commit suicide as is being circulated in media spaces but was rather strangled to death at the artificial lake beside the Golf resort Hotels, according to the result of an autopsy carried out by the family. Apagun Olumide died on Friday in a manner that has been speculated as suicide, after excusing himself from his driver only to be found lifeless in the lake hours later. His remains, recovered by local divers, was intercepted by the Police on Saturday morning and later deposited at the morgue of the Neuropshychiatric Hospital Aro, Abeokuta. However, divulging the details of the autopsy released on Sunday, a family source said the late right-hand man of former governor of Ogun State, Gbenga Daniel, was stranguled tdeath.